Posted May 12, 2009 in Captain America, Jeff Lonnett. Jeff Lonnett resides in Washington DC, where he paints, sculps and teaches. 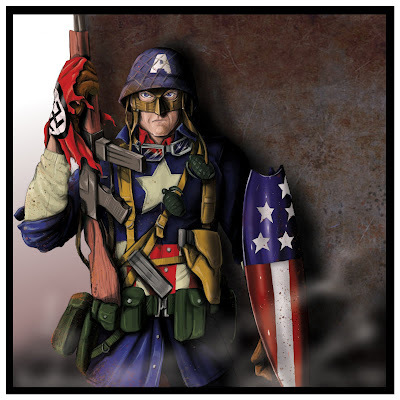 This ‘Ultimates’ version of Captian America can be seen alongside many other of Jeff’s comic inspired paintings here & here.